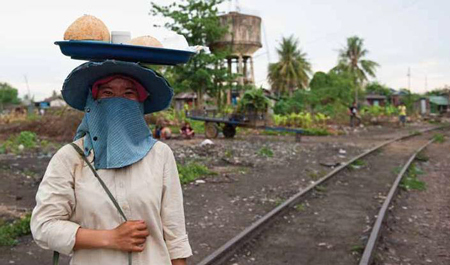 Since 2012, IDI supported more than 4000 households that were involuntarily resettled to make way for the rehabilitation of Cambodia’s railway system. The resettled families experienced severe hardships, including unmanageable indebtedness, loss of income and lack of access to basic services, as they were made to bear the externalized costs of this major infrastructure project. The Rehabilitation of the Railway in Cambodia Project was financed primarily by the Asian Development Bank (ADB) through a USD 84 million concessional loan and the Australian Agency for International Development (AusAID), which contributed USD 23 million in aid. IDI supported the communities to advocate for the full respect of their rights under ADB safeguard policies, Cambodian law and international human rights law. 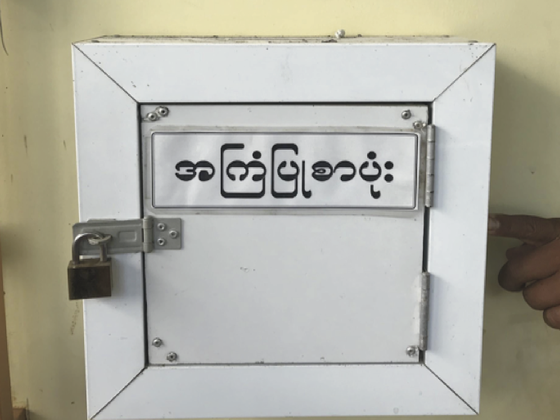 The Cambodian Government is bound to comply with ADB’s Policy on Involuntary Resettlement in relation to the more than 4000 families whose homes and small businesses are in the path of the rail lines and planned railway stations. The central principle of the policy is to provide sufficient compensation and assistance to ensure that displaced people are made at least as well-off after resettlement as compared to their previous living standards, with poor and vulnerable people supported so that their lives are improved. The Government is also bound by its international law obligations to ensure that it fully respects and protects the human rights of these families. It is obliged to use development projects such as this as an opportunity to improve the standard of living of affected people who were previously living in sub-standard conditions. This obligation includes guaranteeing that people have access to adequate housing, including all basic services and facilities, upon resettlement. As financiers of the project, the ADB and the Australian Government have a duty to monitor, supervise and support the resettlement process to ensure compliance with the policy and human rights obligations. 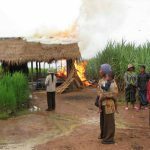 The reality, however, is that the Cambodian Government, the ADB and AusAID, routinely ignored the policy and legal obligations, as well as the warnings and evidence provided by affected communities and NGOs. As a result of these transgressions, many resettled families faced destitution. The report, DERAILED, published by NGO Bridges Across Borders Cambodia (now Equitable Cambodia) in February 2012, which was authored by IDI Legal Director Natalie Bugalski, found that affected families faced threats and intimidation during the resettlement process and that compensation amounts were well below the cost of a basic adequate house in Cambodia. Some of the resettlement sites were too far away from former residences, urban centers and livelihood opportunities. This economic displacement of resettled families led to a drop in household incomes, exacerbating the financial stress caused by the payment of inadequate compensation. Promised income restoration support programs only commenced months after resettlement took place and were piecemeal and ineffective. Families were forced to assume unmanageable debt burdens in order to cope with their displacement and they fear losing their plots of land at resettlement sites to creditors as a result. Many people have said that despite being aware of the risks of indebtedness they felt they had no choice but to borrow to meet the basic needs of their families including food. 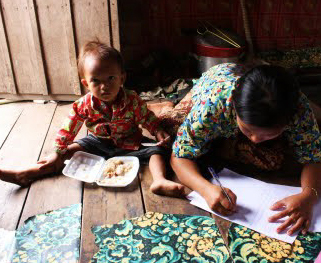 On October 4, 2012, IDI and Equitable Cambodia submitted a complaint to the Australian Human Rights Commission (AHRC) on behalf of 30 affected families. The extra-territorial complaint alleges that the Australian Government failed to uphold its international human rights obligations by providing significant funding to the railway project without taking sufficient measures to safeguard against breaches of human rights. IDI and Equitable Cambodia received the Commission’s finding on jurisdiction in December 2013. The Commission declined to conduct an inquiry into the complaint because it found that the complainants were not subject to the Commission’s jurisdiction due to the lack of effective control by Australia over those alleging human rights violations resulting from the Railway project in Cambodia. 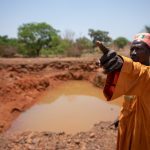 In IDI’s opinion, the Commission took a conservative and outmoded view of jurisdiction, which failed to reflect the current and prevailing jurisprudence on extra-territorial human rights obligations. Click here to view the Commission’s findings. On August 28, 2012, IDI submitted a request for investigation of the resettlement process to the Compliance Review Panel (CRP), the ADB’s internal accountability mechanism, on behalf of affected families who have asked IDI to represent them through the process. The complaint describes a litany of problems and non-compliance with the resettlement process that have inflicted hardships on hundreds of poor families. It calls for a number of remedies from the ADB including reimbursement for the actual costs of replacing lost assets, at least enough compensation to build an adequate home and meet basic needs, debt relief, adequate basic services at the relocation sites, and support to get their children back into school. The complaint was registered by CRP on September 4, 2012. The Panel made a number of recommendations for remedies, including establishing a $3 – $4 million ‘compensation deficit payment scheme’; improving facilities at resettlement sites; extending and expanding the income restoration program; establishing of a debt workout scheme for highly indebted households; improving the functioning of the grievance redress mechanism; capacity-building for the Cambodian authorities responsible for resettlement; and adopting specific safeguards for the development of a freight facility which respects the land rights of families in the “Samrong Estate” area. On January 30, 2014, ADB’s Board of Directors approved the Panel’s findings and slightly modified recommendations. IDI, Equitable Cambodia and the affected communities who brought the complaint welcomed the CRP’s report and the Board’s decision and have called upon ADB Management to develop a robust remedial action plan to operationalize the decision. 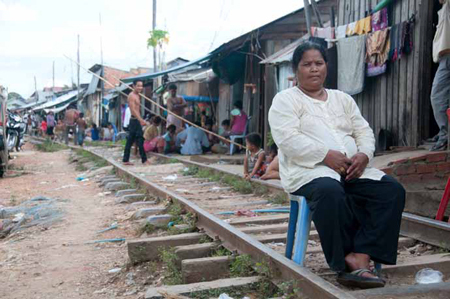 On August 30, 2015, 22 representatives of families remaining along the railway tracks filed another complaint to the CRP with support from IDI and Equitable Cambodia. 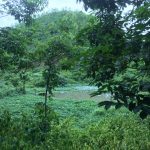 The complaint presents new evidence of ADB acts and omissions that threaten material harm to the complainants which were not previously addressed by the CRP in its earlier investigation. After conducting an initial assessment, including a site visit, the panel found that the second complaint was not eligible for further investigation because the issues had already been considered by the panel in its previous compliance review report. However, the panel stated the “complainants grievances are real and persistent” and that “they need to be – and can be – adequately and urgently addressed.” According to the panel, there was still “prima facie evidence of noncompliance with ADB’s operational policies and procedures and prima facie evidence that this noncompliance with ADB policies has led to harm or is likely to lead to future harm.” The panel called for these grievances to be dealt with under the existing remedial action plan that was adopted by ADB’s board following the previous investigation.